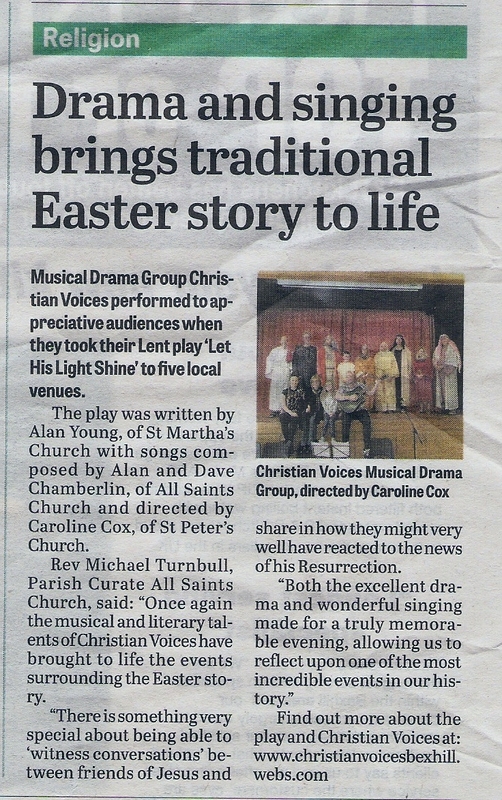 Christian Voices would like to show you the write-up for our most recent play, Let his Light Shine, in the Bexhill Observer. We were very pleased with the play and especially the reception given to it in the churches visited – thank you all! “a truly memorable evening” — thank you! Posted by christianvoicesbexhill on 20/05/2014 in News, Performances, Press and tagged Comments, News, Performances, Plays, Press.